LOUISVILLE, Ky. — October 31, 2018 —Today GE Appliances (GEA), a Haier company, and Jefferson County Public Schools (JCPS) announced two new programs that will be a national model for helping build the next generation of American manufacturers and strengthen the local partnership between one of Kentucky’s largest employers and the commonwealth’s largest school district. 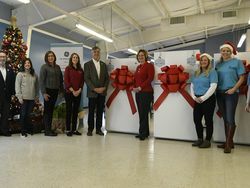 The first program of the GEA initiative will offer virtual classroom experiences for students in its Academies of Louisville manufacturing program at Doss High School. The second program, called GEA2DAY, will offer opportunities for high school seniors to join a new, weekly two-day workforce that provides a $14 an hour wage, real-world work experience and up to $6,000 per year in college tuition. GEA Chief Operating Officer Melanie Cook and JCPS Superintendent Dr. Marty Pollio made the announcement today at a press conference at Appliance Park as the company wraps up four weeks of activities celebrating National Manufacturing Month. A GE Appliances’ plant in Louisville, KY. GE Appliances launches GEA2DAY, creating 150 new jobs and offering participants up to $6,000 in tuition assistance. 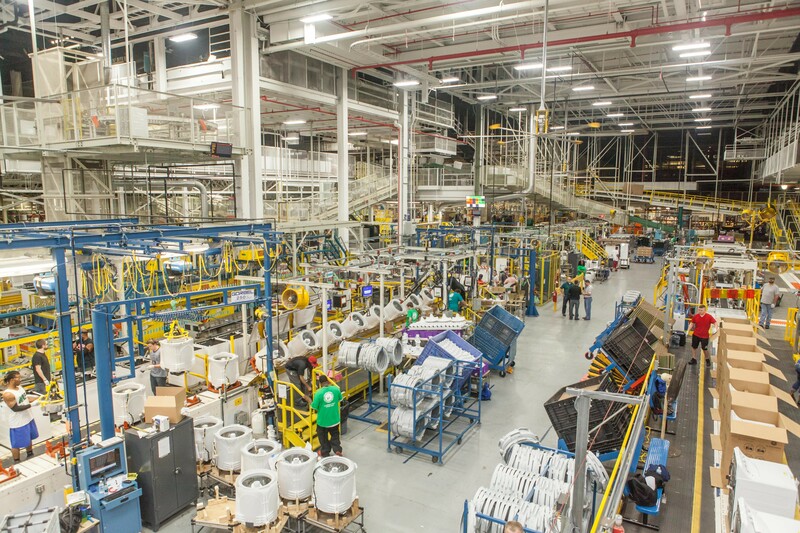 The new GE Appliances GEA2DAY program will create an employee workforce that will only work two days a week—Mondays and Fridays. As most full-time employees use their vacation and discretionary days to extend the weekend, GEA created this new program to not only fill a staffing need, but to improve flexibility for those seeking part-time work in a manufacturing environment, with a focus on students who can gain on-the-job experience while earning $14 an hour and up to $6,000 annually for college. 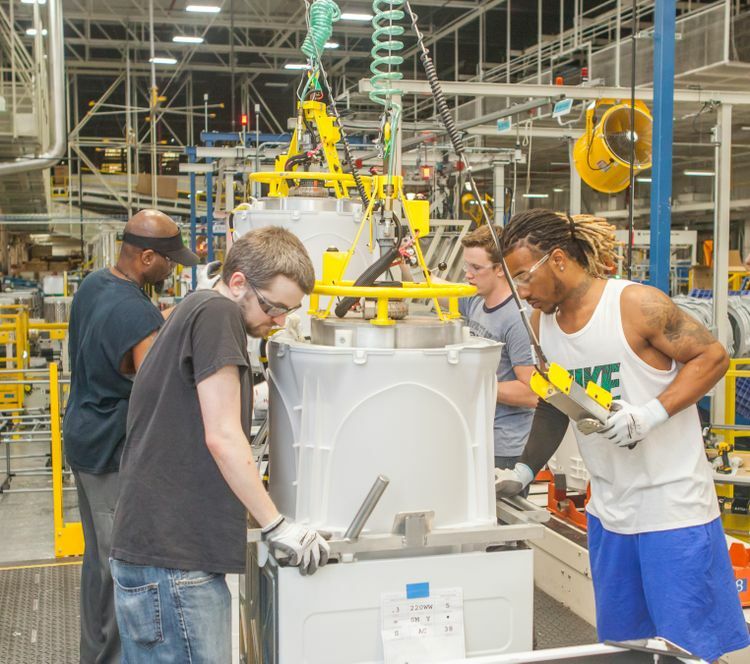 The new GEA2DAY program will create an additional 150 part-time jobs for Appliance Park. For more information about the GEA2DAY workforce, visit www.ibuiltthis.com. 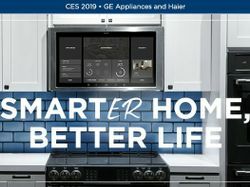 Students in the Doss High School manufacturing program will be able to take a virtual tour of GE Appliances in March of 2019 and have a live web chat with employees who currently work at GEA. Students will be able to ask employees about career opportunities, job responsibilities and the education and experience students need to apply for these jobs in the future. As part of the virtual classroom initiative, GEA is also aligning the program with the JCPS Backpack of Success Skillsinitiative. Students will be given a real-world manufacturing problem to solve for GE Appliances. The top students will present their projects to a panel of GEA executives. GEA leaders are challenging all Academies of Louisville partners to create similar projects with their partner schools. 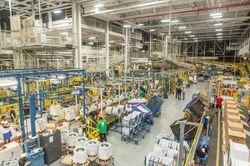 Cook, who is also on the board of the National Association of Manufacturers, is also encouraging all American manufacturers to partner with their local school districts to launch similar programs in their communities. 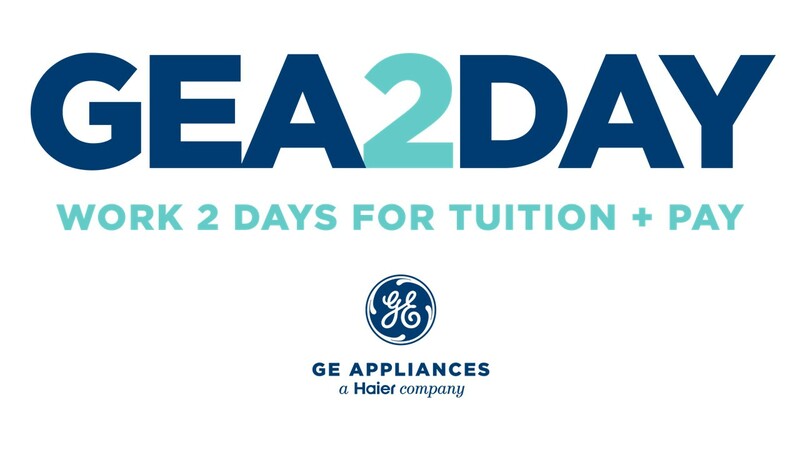 GE Appliances launches GEA2DAY, a new innovative part-time workforce program that includes a tuition assistance program designed with students in mind.